It's not often that Jaylen Brown finds himself in an uncomfortable situation. A rising star in the NBA, Brown has faced all of his challenges head-on, and thus far has come out better on the other side. But at Celtics Media Day on Monday, he revealed that a lot of his summer workouts put him in an unfamiliar spot. Instead of hammering home the skills that have made him the player he is today, Brown spent the offseason working on the aspects of his game that needed improvement. Now, you may be thinking, what's so special about that? If you have a flaw, you work to fix it, right? Well sure, but working on the things that you aren't great at can be tiresome and disheartening. As a starter for the Boston Celtics, one of the most talked-about teams heading into this season, Brown could have simply solidified the things that have made him one of the best young talents in the game. But, at 21-years old, Brown chose the path filled with hard work, that would eventually make him a star. 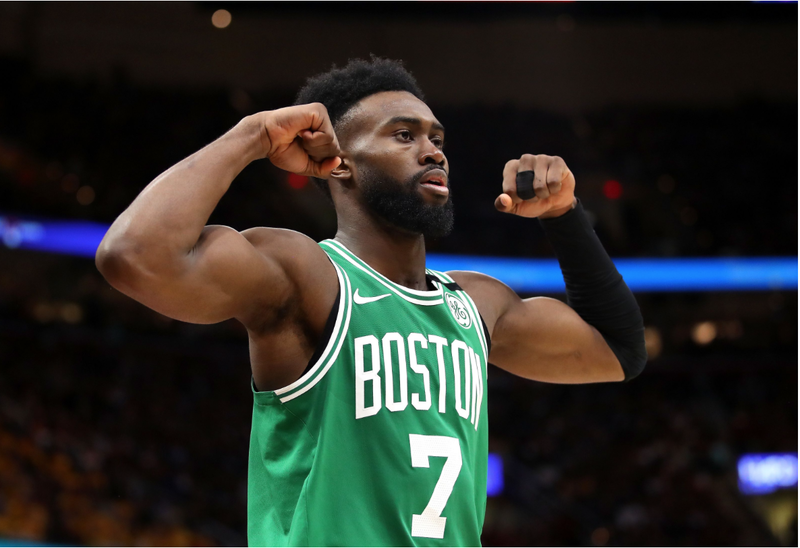 The #Celtics Jaylen Brown said he spent this summer becoming "uncomfortable" in terms of working on things that didn't play to his natural strengths which he sees as being integral to his continued growth as a player. Brown's work ethic is commendable, and we have already seen how, when he puts his mind to it, he can turn a negative into a positive. His biggest critique coming out of the draft was that he couldn't shoot. He was an explosive athlete and had the potential to be a lock-down defender on the wing, but his outside game left something to be desired. After a rookie season shooting 34.1 percent from beyond the arc, Brown raised his three-point percentage to 39.5 percent, while also taking nearly three more three-point shots per game. The dedication to getting better every year fuels Brown, and that was no different this summer. Jayson Tatum took some of the shine away from Brown last season. Tatum lit up the scene, and people forgot how much the second-year player had improved. If Brown can start to incorporate playmaking into his arsenal and can improve his handle, he will become an even more potent offensive threat. Brown see what the critics have to say. He has put in the work. Now he will make them eat their words.